For clients recovering from addiction, so often the primary focus of treatment is on achieving and maintaining sobriety. And while effective therapy depends on sobriety, what is often missed are the client’s nutritional deficiencies – many that can dramatically increase the chances of picking up again. Clients can, for example, have vitamin B, folate, and iron deficiencies, all of which will lead to general feelings of fatigue, lethargy, and poor cognitive functioning. On the other hand, depleted tryptophan (an amino acid often found in milk, turkey, and dairy products) stores can lead to depleted serotonin stores, and ultimately, states of mild depression. Maintaining energy relies on regulating blood sugar, and maintaining adequate vitamin and mineral stores. However, both of these things depend on one thing only – nutrition. When clients follow a nutritional program designed to stabilize blood sugar, energy levels stabilize as well, and more often than not, clients experience more consistent and reliable feelings of energy. Further, when, through a healthy dietary intake of vitamins and minerals, deficiencies are restored, the body responds through better recovery, which lies at the heart of adequate energy levels. What this ultimately means for the client seeking sobriety, is less reliance on energy shortcuts – such as amphetamines or stimulants – to boost energy, and an improved sense of well-being. Sobriety from any drug requires a wealth of frustration tolerance, emotional containment, and the ability to override strong impulses with and even stronger set of executive functions. In short, the brain in recovery is the brain on overdrive. Yet one hallmark of clients in recovery is poor executive functioning. Often not just repeated use of drugs and alcohol but an atrophied set of executive functions lead to a less than optimal ability to tolerate the stress of achieving sobriety. However, we also know that optimal brain functioning requires an optimal supply of nutrients. Through increasing intakes of Omega-3 Fatty acid, for example, memory and cognitive functioning can be improved significantly. Vitamins E, D, and several amino acids have also shown dramatic results on improved brain functioning. What this means for the client in recovery, is not only that they can rectify nutrient deficiencies, but that their cognitive functioning – and their chance of recovery – can be dramatically improved when they do. An unstable mood for the client in recovery is a major risk factor for relapse. Especially when clients are new in recovery and may not have the cognitive resources to overcome the strong impulses that accompany mood swings, the result can often be turning to their drug of choice. Moreover, an unstable mood often complicates the development of the very social support that fosters recovery. Yet a stable mood is dependent on a set of neurochemicals that may not be in abundant supply for the client in recovery. Therefore, replacing and fortifying neurochemicals becomes a primary step in stabilizing and improving mood. As neurochemicals are comprised of amino acids, this requires an adequate nutritional intake of them. Through improving their amino acid profile, clients can often quite markedly improve their mood, which then ripples outward improving their recovery program, and their adjustment to sober life. If fat were the nutritional bad guy of the 80’s and 90’s, now its carbohydrates. What once was low-fat is now low-carb, and it seems that low carb diets have become so much a staple of our current culture that any rational person would question a weight loss program that doesn’t call for limiting them. 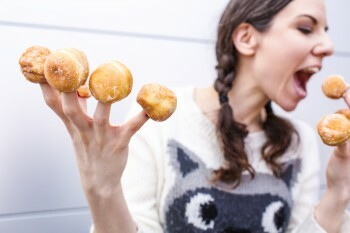 And while many dieters attest that cutting carbs leads to quick weight loss, Holly Taylor, a professor of psychology at Tufts University would say that it also leads to a quick – and negative – impact on thinking and cognition. Taylor, collaborating with Professor Robin Kanarek, asked 19 women ages 22 to 55 to select either a low-carbohydrate diet or a low-calorie, macronutrient balanced diet recommended by the Academy of Nutrition and Dietetics. After nine women chose a low-carbohydrate diet and 10 selected the low-calorie diet, the 19 total dieters then completed five testing sessions that assessed cognitive skills, including attention, long-term and short-term memory, visual attention, and spatial memory. The testing sessions occurred at four different intervals: before participants began their diets, during the first week of the diet, in week two, and in week three of the diets – when, for the low-carb group, carbohydrates had been reintroduced. So what were the cognitive effects of low-carb dieting? The low-carb dieters showed a steady decrease on the memory-related tasks compared with the low-calorie dieters. And the more they restricted carbs, the more their memory was impaired – meaning the gap between them and the low calorie group widened. Reaction time for those on the low-carb diet was also slower compared to the low calorie dieters. Further, their visuospatial memory (remembering things like where they left their car keys) was not as good as for those on the low-calorie diet (Taylor, et al., 2009). “The popular low-carb, no-carb diets have the strongest potential for negative impact on thinking and cognition” (Taylor, 2009). Why carbohydrates affected the participants cognitive function in the way that it did, Taylor explains, is because that while the brain uses glucose as its primary fuel, it has no way of storing it. When carbohydrates are consumed, they are broken down into glucose – which becomes available in the blood stream – and can be used immediately by the brain as fuel. Reduced carbohydrate intake, therefore, reduces the brain’s fuel source – which has a direct impact on cognitive performance. And these affects happened after only a week of severe carbohydrate restriction. As Taylor notes, “The brain needs glucose for energy and diets low in carbohydrates can be detrimental to learning, memory and thinking” (Taylor, 2009). Yet the effects of a low carb diet don’t stop with our cognition and memory. In a much larger randomized clinical trial, researchers from the Commonwealth Scientific and Industrial Research Organization, Food and Nutrition Division in Adelaide Australia, randomly assigned 106 overweight and obese individuals to one of two groups. 55 participants were placed on a very-low-carbohydrate, high-fat diet and the remaining 51 were placed on a high-carbohydrate, low-fat diet – both groups for one year. Throughout the year, changes in body weight, cognitive functioning (specifically learning, memory, and thinking skills), mood and well-being were measured. So what were the long-term effects of carbohydrate restriction? Here is where the study gets interesting. Over the course of the year both groups lost weight – an average of 13.7 kilograms with no significant difference between the groups – and reported “feeling better.” However, this improvement in mood only lasted for those in the low fat group – meaning that even though participants in the low carb group had lost weight and reported an initial boost in mood and well-being, over time, they returned to their baseline levels – negating any positive mood effects attributed to losing weight (Brinkworth, 2009). “This outcome suggests that some aspects of the low-carbohydrate diet may have had detrimental effects on mood that, over the term of one year, negated any positive effects of weight loss” (Brinkworth, 2009). While it’s possible that some of the reason people felt worse on a low carb diet over time has to do with the fact that it is just difficult to eat that way – consider turning down that warm bread, tortilla chips, or steaming plate of pasta every time you meet your friends for dinner – more likely constantly depriving the brain of its primary fuel source is just not going to make you feel good. Even though cutting carbs seems to have an overall negative effect on mood, overdoing them – in the form of fast food and highly processed and sugared foods – isn’t any better. In one of the largest studies to date, researchers from the University of Finland followed more than 2,000 middle-aged or older men for a period of 13-20 years. Participants’ diets were measured by food records and food frequency questionnaires. The questions researchers were asking: How often do you eat fruits and vegetables? What about whole grains? Fish? Poultry or lean meats? What about low fat cheese? Participants who regularly consumed foods such as these were classified as “healthy eaters.” On the other hand, if participants regularly consumed food items such as processed meats, sugar-containing desserts and snacks, sugary drinks, manufactured foods – in general high amounts of sugar and carbohydrates – they were classified as “unhealthy eaters.” Then researchers took a look at just how often participants in each group reported feeling depressed, which was made available from the National Hospital Discharge Register. So was there a correlation between consuming high amount of sugar and carbohydrates – what many might call a “junk food diet” – and depression? Interestingly there were two correlations. While participants in the healthy eating group had less depressive symptoms than those in the unhealthy group, this effect was even more obvious when they lost weight (Ruusunen, 2013). Since we know that any weight loss resulting from carbohydrate restriction is, over time, negated by the long-term negative effects on mood, we are back to the same place we always seem to be. 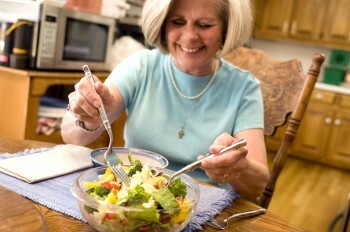 That is, there is no substitute for healthy eating when you want to lose weight. But there is another more relevant point – both carbohydrate restriction and carbohydrate overload have negative effects on mood. So not too little and not too much, right? Like most things in the human body and otherwise, achieving a healthy level of carbohydrate intake, and the related improvements in mood – is all about balance. And as we know from Section One, creating the neurochemical balance that leads to an improved mood is a pivotal factor in the process of recovery from addiction. Yet, as we will see in the next section, improving mood – or in the case of addictions, perhaps recovering it – involves more than just carbohydrate balance. 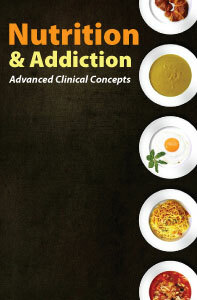 Nutrition and Addiction: Advanced Clinical Concepts is a 2-hour online continuing education (CE) course that examines addiction from a nutritional perspective. Drug addiction is an alarming problem in America, and one that is not receiving the treatment it needs. Compounding the problem is that addiction often leads to nutritional deficiencies, which predisposes the addict to a host of related health complications. Treatment recovery programs that also offer nutritional education have been found to significantly improve three-month sobriety success rates.